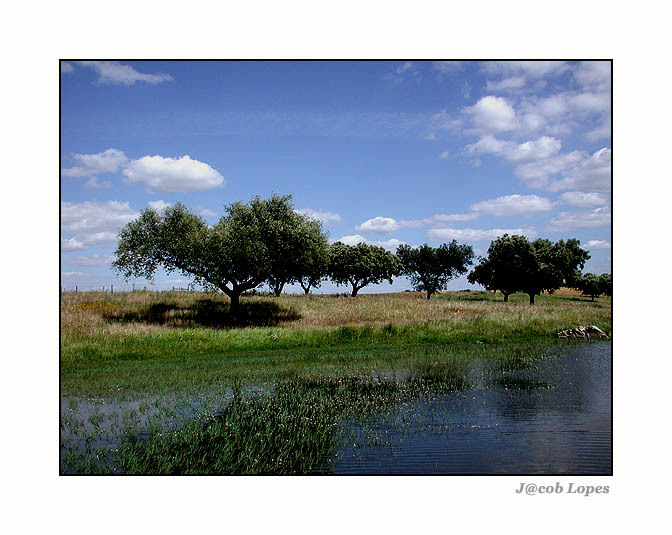 very beautiful landscape composition and colors, Jacob!! It`s not only harmony of colors, it`s harmony of a nature! A beautiful landscape photo and very good colors too ! A very beautiful image with excellent colors !! A landscape of invulgar beauty. Very well photographed. If you allows me a suggestion, I will dislocate the horizon a little more for top, showing still more luminous reflections. Congratulations, Jacob Lopes. Excellent shot.Real harmony between the color of the landscape and the photographers eye.Well done!